Our approach is based on years of on the ground operational experience paired with detailed knowledge of school food service operations. We understand how operational shifts impact budget, staff and customers. Our assessment process create a picture of where a district is currently, including past actions impacting the current state, and any strategic planning currently in process. The outcome of the analysis provides direction and next steps relevant for strategic planning and achieving the district’s desired outcomes. Lunch Lessons, LLC provides its client the necessary information to decide its best plan of action. It is up to the district to determine what kind of shifts in approach and execution it can truly support, but in every case change requires a long term commitment. We are here to support your commitment to change and the improvement of your school food service operations. Some of the most important facets of changing school food are marketing, education, community-building, and motivating your constituencies. Chef Ann Cooper’s talks excellent at promoting each of these areas. Chef Ann’s keynote speeches, seminars, videos, podcasts, TED Talks, radio, TV and print interviews all highlight the motivational, educational and inspirational effect that the spirit of her message has on all her audiences. Including Chef Cooper’s talks or seminars at your conference, meeting or other venue will assure not only a high level of participation, but a high level of audience satisfaction. The Lunch Lessons LLC team can provide targeted technical assistance for school districts needing support in specific areas of their operation. This assistance may include procedural guidance, operations implementations such as salad bars, team trainings, efficiency in systemic processes such as purchasing, ordering and inventory management; back-office software implementation support, menu-planning, forecasting and facilities design. Lunch Lessons LLC will design a workshop experience specific to the clients’ desired goals. 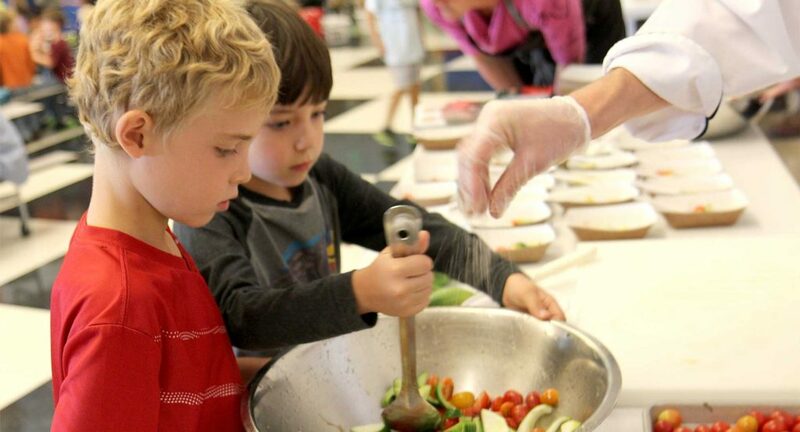 Dependent upon the workshop audience and desired outcomes, Lunch Lessons excels at crafting workshops built on presenters with expertise in school food finance, culinary training, nutrition and menu planning, facilities, customer service, school district administration, and marketing. 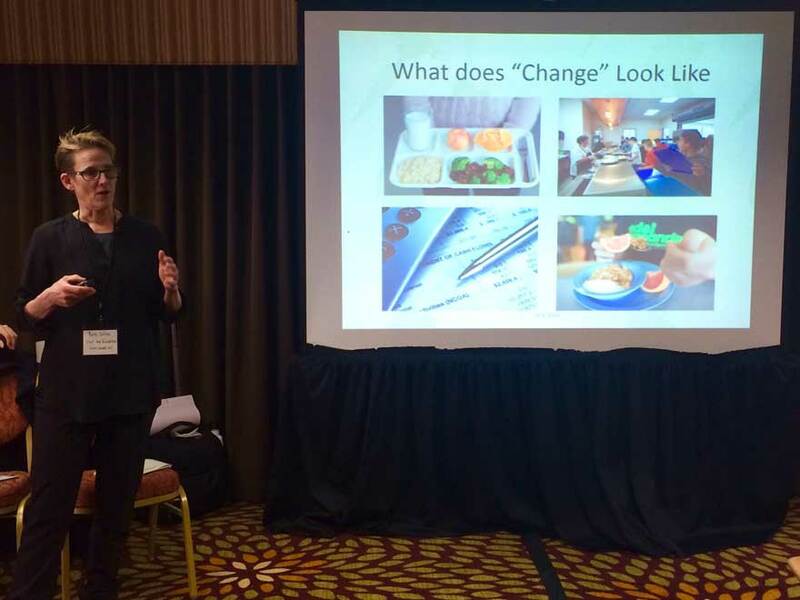 Changing the School Food Landscape – Vision and Action: This workshop lays a foundation for why school districts take on the multi-layered work of shifting their programs from reliance on processed foods to scratch-cooking. We engage the participants in identifying their vision and mission as a guide through the very technical assets of school food program change. This is an excellent introductory program for districts that are just embarking on their school food program innovation. Knowing Your Numbers – Financial Management “Musts” for Supporting School Food Innovation: Without strong fiscal controls, school districts hoping to shift their operational model to a fresh food environment can quickly run into trouble. Many Directors and their teams were not formally trained in accounting and may not have “control” of their budget or even access to their district’s financial system. This workshop guides the participant through the key data sets that must be tracked and planned for and discusses various tools to support successful program management. The participant will leave the workshop with a plan directed toward their unique situation. Self-Assessment and Strategic Planning – Understanding Where We Are to Target Where We Want to Go! – Taking a critical look at our departments in an effort to plan on-going strategic growth is something we don’t always take the time to do. In this workshop participants will engage in identifying strengths, growth needs and realistic goals for system change through analyzing finance, procurement, menu, customer service, marketing and their broader relationships to the school district community; parents, administrators, teachers and others. The workshop establishes a core foundation for designing strategic plans that will be realistic guideposts for development. Let’s Move Salad Bars to Schools – The How-To: This workshop addresses how to overcome the barriers of implementing a salad bar program as part of the reimbursable meal. The workshop will address; standard operation procedures, staff training, menu development, recipes, production records, school and community support, and student engagement activities.